Location is perfect, 10mn walking from the central station, 2mn from the bus 28. There are many restaurants around the room, small ones and touristic ones. You can also find a small supermarket. You get a voucher for breakfast at a cafe around the corner and it is a very popular cafe with delicious and quality food. Great furnitured and comfortable apartment with all you could ask for. Good interior design. Perect location! Friendly and helpful accomodation staff. The location was perfect! We were able to walk everywhere and see everything! 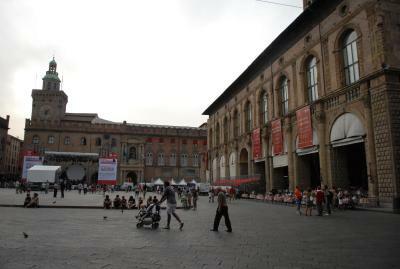 The apartment is walking distance from the main attractions of Bologna. Very convenient. The room was clean, very close to the center. The staff was nice and they kept at the reception our luggage on the last day, after check out. It was clean and cosy, good location, definitely will book it again. The room was quite large and extremely clean, as was the bathroom. The location was extremely central, but also quite noisy. One of our top picks in Bologna.La Suite B&B offers rooms and studios decorated with artistic details and modern furniture. 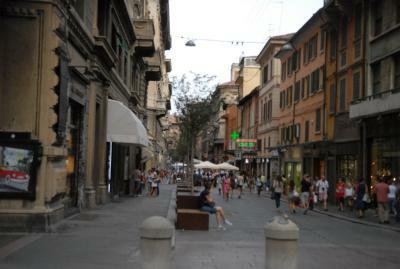 It is located in central Bologna, just 1,150 feet from Bologna Cathedral and a 10-minute walk from the city’s towers. Rooms and studios are air conditioned and come with black and white furniture and wall décor and artwork. Most accommodations features an LCD TV and some also have free Wi-Fi and a well equipped kitchenette. 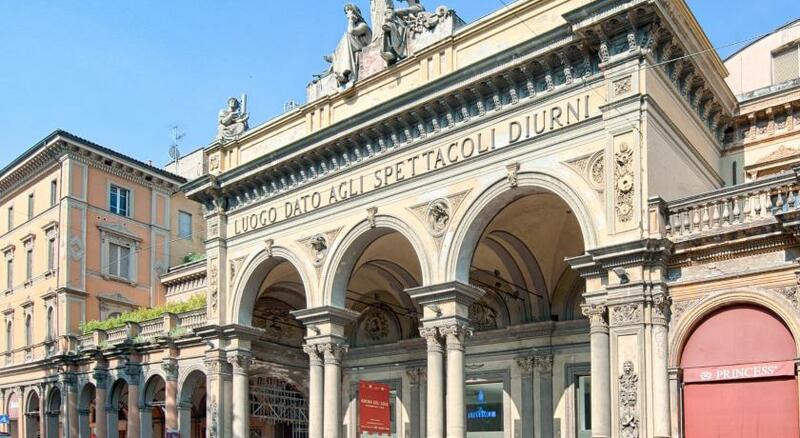 La Suite is a 10-minute walk from Bologna Centrale Train Station and the city’s main square, Piazza Maggiore. 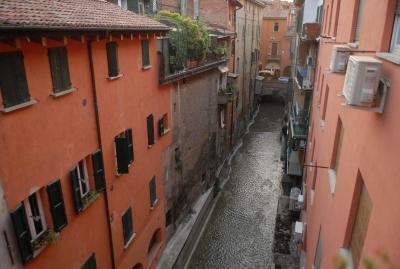 뀐 Located in the real heart of Bologna, this property has an excellent location score of 9.0! 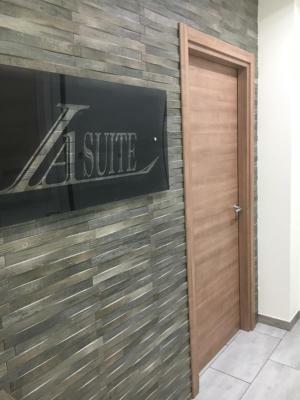 When would you like to stay at La Suite B&B Apartments? This air-conditioned features a flat-screen TV and private bathroom. Air-conditioned studio with a kitchenette, flat-screen TV, and private bathroom with shower. 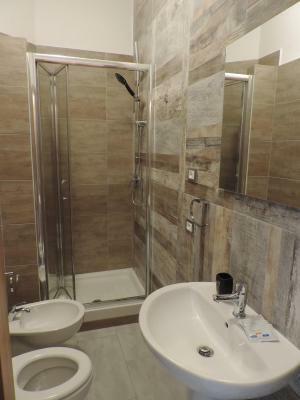 Air-conditioned studio with a kitchenette and private bathroom with shower. Air-conditioned studio with kitchenette, flat-screen TV, and private bathroom with shower. This air-conditioned features a TV and private bathroom. House Rules La Suite B&B Apartments takes special requests – add in the next step! ATM card La Suite B&amp;B Apartments accepts these cards and reserves the right to temporarily hold an amount prior to arrival. La Suite B&B Apartments accepts these cards and reserves the right to temporarily hold an amount prior to arrival. Late check-in is only possible upon request. A surcharge of EUR 20 applies for arrivals between 21:00 and 23:00. All requests for late arrival are subject to confirmation by the property. The property is located in a restricted traffic area. Please note that check-in and key collection take place at: Via Augusto Righi, 32/C piano terra, Bologna 40126. Internet connection was bad, almost impossible to load a single page. The area is quite noisy as a lot of bars and restaurants located nearby, though it wasn't that noisy for us. Tried also to turn on the refrigerator , but it didn't seem to work. The apartment located in good place, near all main attractions of Bologna. Check-in point was easily found. The place has prepaid breakfast in the nearest cafe - coffee and croissant. The apartment was impossible to find without first visiting the office. It turned out to be opposite the office, not where described on the website. The noise after midnight was awful. I'm a good sleeper & I can usually factor in city noise but this noise defeated me. I think I might have got 2 hours per night. The noise of traffic, revellers until at least 3 in the morning & the bottle bank used frequently between midnight and 7am was extremely challenging. The location for breakfast was 200 metres away, down the street & round the corner - a bit far when I was in a rush. I would have liked a kettle & a small fridge. The location was great for being within walking distance of all the sites and restaurants. The included breakfast (brioche & coffee) was excellent. 200 yards away at a lively cafe. I don't know why Italians' bathrooms were small even the rooms are big enough. Apartment elevator was a problem. You had to close inside doors otherwise it is not working, you have to walk on the stairs. They have to solve the problem or put a sign. The apartment rooms were big, clean and good decorated. There was no breakfast, one cappucino and a croissant (nothing else) from a nearby bar pasticceria cannot be considered a breakfast, although they mentioned that there is a breakfast in the price !!! You´ll hear noises from streets and stairway. Breakfast at local cafe downstairs is a good idea, if like it italian style (cafe and sweet brioche) but anythig more costs extra. Host doesn´t have working machine for card-payments. Nice and basic small room with private bathroom, a good basecamp for exploring the city center. Also some nice restaurants a few steps away from font door. Wifi was a disaster. I was travelling for work and I could not send or receive emails. I mentioned it to the lady at check in office but nothing she did changed anything. I ended up having to go to the cafe to get emails through. The towels they provide are not towels!! It is literally a piece of linen!! It is not hard to provide sponge towels! I travel a lot and it is the first time I am given a piece of cotton to dry myself with. Very poor and unstable internet service. The location, the apartment. All was great. the location is 210 m far from the location that you see on booking.com. the wifi is not working at all!!! the breakfast will serve in a public caffe shop and you will get only a caffe and corneto. I ask for orange juice but they said that you should pay!!!!!! basically there is no breakfast!!! If you come earlier than 10.00 o'clock there will be no one from the staff at the accomidation office. Person who answer te phone doesn't speak English. No heating in the night. I asked about heating arrangement in the afternoon at the check-in counter and was told that there should be floor heating. The floor heating was turned in the same afternoon, but was off in the evening and the following day. The air-conditioning system which might be used for heating did not work. The bed was broken at a corner. No kettle to make tea. The wardrobe is too tall and it is impossible to hang clothes in it unless you are taller than 1.8m The apartment is situated in a street with many restaurants. There was noise till midnight, and again early in the morning when the trash and glass bottles were being collected. Centrally located with many restaurants around and tourist sites within walking distance. Shower pressure was very good.